The confluence where delta blues meets Yorkshire folk (like a spaghetti western but wearing a t-shirt and a backwards baseball cap) is nonetheless rich fishing waters for hard touring Serious Sam Barrett from Otley, who heads to The Waiting Room in Eaglescliffe on Sunday 10th February. The prolific 38 year old’s seventh album, Where The White Roses Grow, will be released on 1st February via Yorkshire roots collective Ya Dig Records. The eponymous lead track is ukulele-led in the style of an American civil war song but with a Yorkshire twist; the white rose theme implying an altogether more British War of the Roses narrative which could prove divisive in the North of England if it wasn’t so damn lovely. 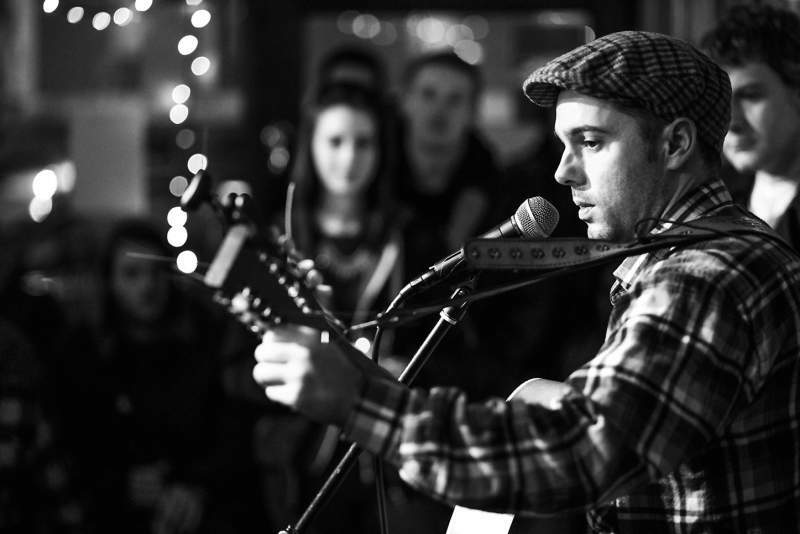 The son of a folk singer and Woody Guthrie fanatic, Sam’s first loves were skateboarding and punk rock before returning to the music of his childhood and blending it with the DIY aesthetic he brought back from punk into something more Yorkshire influenced. Playing such honest and heartfelt odes in traditional arrangements has seen Sam tour almost constantly and as far afield as Nashville and SXSW festival. Just what Sundays at The Waiting Room were made for.